"I may not do everything great in my life, but I'm good at this. I manage to touch people's lives with what I do and I want to share this with you." Surprisingly funny and touching, this Jon Favreau's flick could be one of his finest in terms of storytelling, cinematography and acting. The supports we're solid like Downey's rich and suave ex husband, the critical Oliver Platt, Leguizamo's enthusiastic sidekick character and even the bossy Hoffman. It encompasses fatherhood, a broken marriage, entrepreneurship, advantages of technology and even the sensitivity of the person whose negative blogs and Twitter wars have targeted. 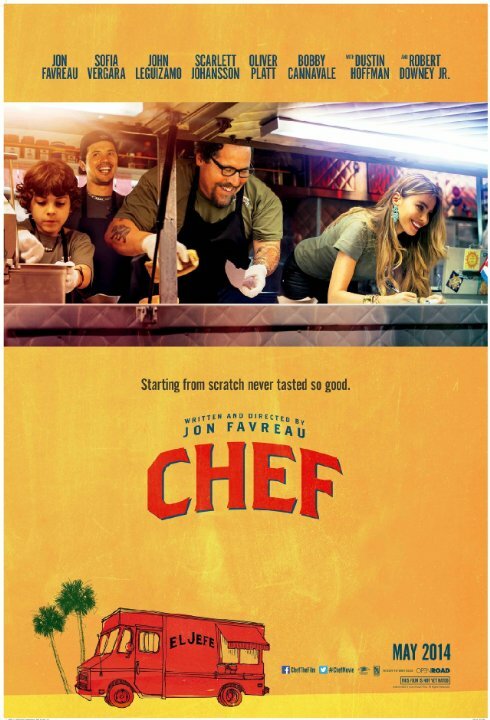 It's too bad there was not much detail of the Chef's wife's occupation and the restaurant he first worked for, nevertheless, this was a tasty treat from Favreau's extraordinary mind. One of theunderrated father and son pictures touched with comedy and delectable dishes prepared and engulfed on film.